Google has unveiled some new programs to help users and creators better interact with the content found on its property. 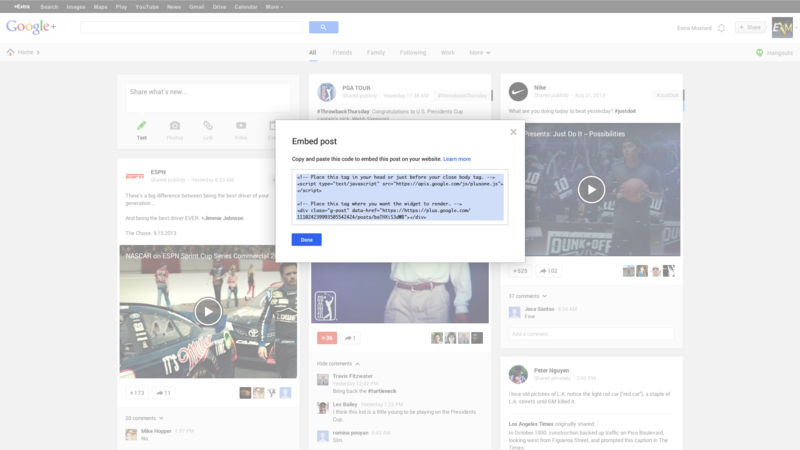 Starting today, it is leveraging its Google+ Sign-In technology to bolster its Authorship program. Additionally, the company is making it easier for people to share content from its social network to other sites with embeddable posts. 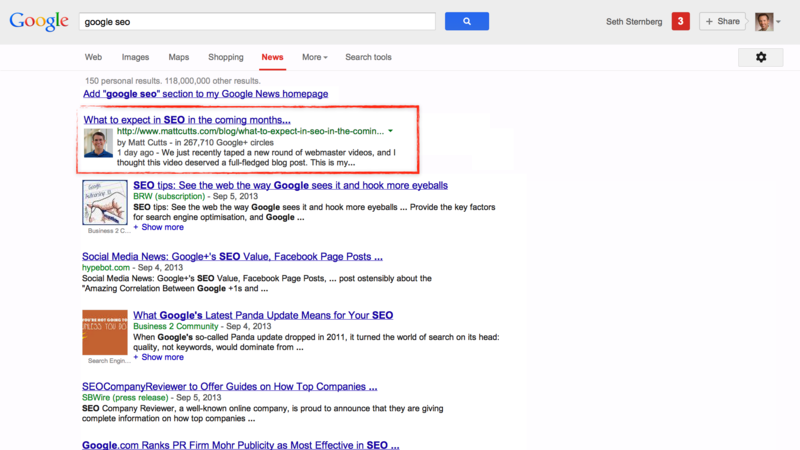 In 2012, Google launched its Authorship program, designed to help make your content feel personal. It’s intent was to have users’ Google profiles associated with their content. Now, with Google+ accounts replacing Google profiles, the company felt it’s time to enhance the offering to aid discovery of content from people you know or find influential. The program utilizes Google+ Sign-In, the company’s version of Facebook Connect, and is tied into two initial partner platforms: WordPress and TypePad. Once you’ve authenticated access, compose a post and publish it. Then, when a query is run in Google and your post title and description shows up in either Search, News, or any other Google product, it will include your name, Google+ avatar, and link to your profile. So what makes this different from the current Authorship program? Seth Sternberg, the Product Management Director for Google+ tells us that now the entire process is simplified. Before, it required a tad bit of technical know-how, but now it’s all handled with the click of a button. Additional partner platforms are planned in the future, although integrating with WordPress is a big step in achieving adoption — it does power 18.9 percent of the Web (Update: Automattic informs us that the percentage is now 19.6 percent) and fits very much in line with the mission of the Authorship program. Additionally, Google is working with an sample group of sites to assess the success of this program, including About.com, WikiHow, and Examiner. So while the Authorship program pushes content to Google properties, this next feature will see it pulled out and shared on other sites. Yes, Google has joined the likes of Facebook, Vine, and Instagram and is now making all Google+ posts embeddable. Embeddable posts are now live. To share posts, simply find one you want, select ‘Embed post’ from the drop-down menu and copy the code shown.